Pasture extending to approximately 103 acres including woodland, streams and waterfalls. 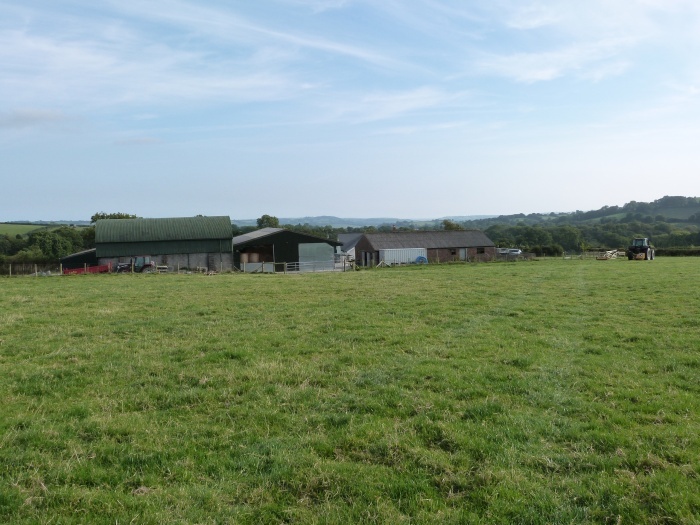 Brynawelon Farm is located in a quiet rural location in a beautiful position with far reaching views as far as the Carmarthenshire coast at Laugharne. The newly renovated 4 bedroom residence has been designed to lend itself in part to a self contained annexe if required with a separate entrance, it also has extensive roof space which ideal for further accommodation subject to building regulations. 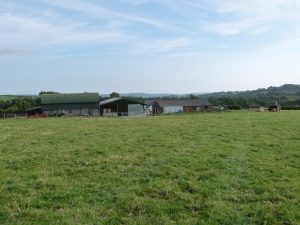 The homestead is surrounded by its own land extending to 103 Acres (tbv) providing privacy with a useful range of outbuildings including the former milking parlour and a cubicle shed, the farm having once run for a number of years as a dairy farm, which are located at the rear of the bungalow in one block. The village of Meidrim is about a mile in distance with a primary school, public house, church and chapel. The market town of St Clears is approximately 3 miles and the beautiful West Wales coastline with a number of beaches within easy reach. Carmarthen town is approximately 8 miles and the A40 dual carriageway 3 miles with access to the M4 thereon.